On the job, you don’t have time to deal with messy bandage and ointment applications. 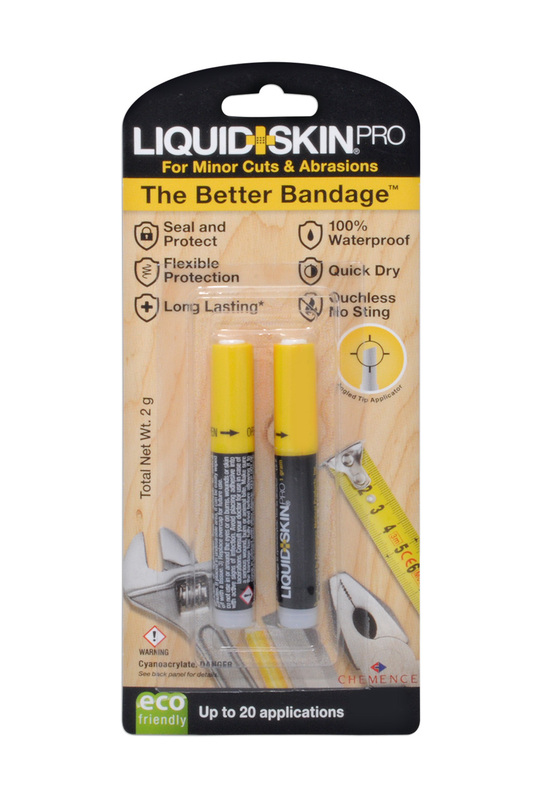 LiquidSkin® Pro is a convenient, effective solution to keep handy at the work site. Our formula dries quickly, creating a tough, flexible shield over minor nicks, cuts, and scrapes. Fast-drying so you can get back to business. Forms a tough but flexible protective layer that keeps your body’s natural oils in, promoting faster healing. Allows your skin to breathe while still blocking out water, construction dust, and debris. Works well on joints and other moving parts, including fingers, hands, elbows, and knees. Multiple use pipettes are convenient, portable, and ideal for work sites. Smooth-glide tip for accurate application. Adjust the thickness to the correct level for your wound. Formula naturally sloughs off as the wound heals, typically in 3-5 days. Won’t drip or run — proprietary, high viscosity formula. Your work takes you to lots of different places. One day, you might be on site overseeing a large build, and the next day, you’re back in your office filing permits and compliance documentation. It’s all part of the job—and so are the minor cuts, scrapes and skin-weathering conditions that come along with it. 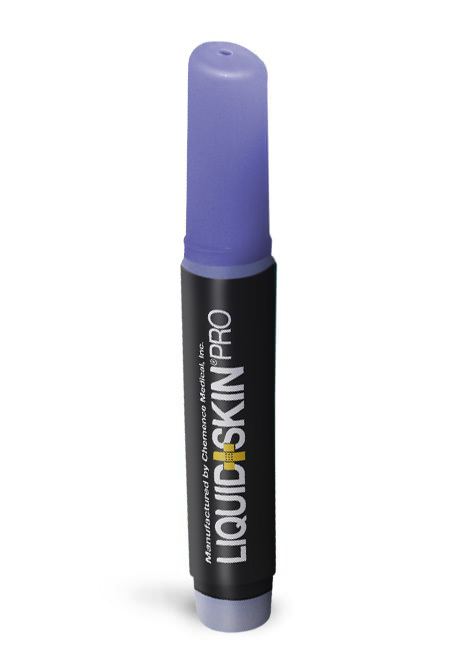 LiquidSkin® Pro is an effective way to sooth and protect your skin, stopping hangnails at the source and forming a tough, flexible barrier between your wound and the outside world. With our angled, smooth-glide tip, you control the application, from a thin layer for a small scratch to a thick shield, protecting a larger scrape or cut. The fast-drying formula sets in 30 seconds to a couple of minutes, depending on the thickness of the application. Available at many fine retailers, including Home Depot and Lowe’s. Try LiquidSkin® Pro and get back to the job at hand.